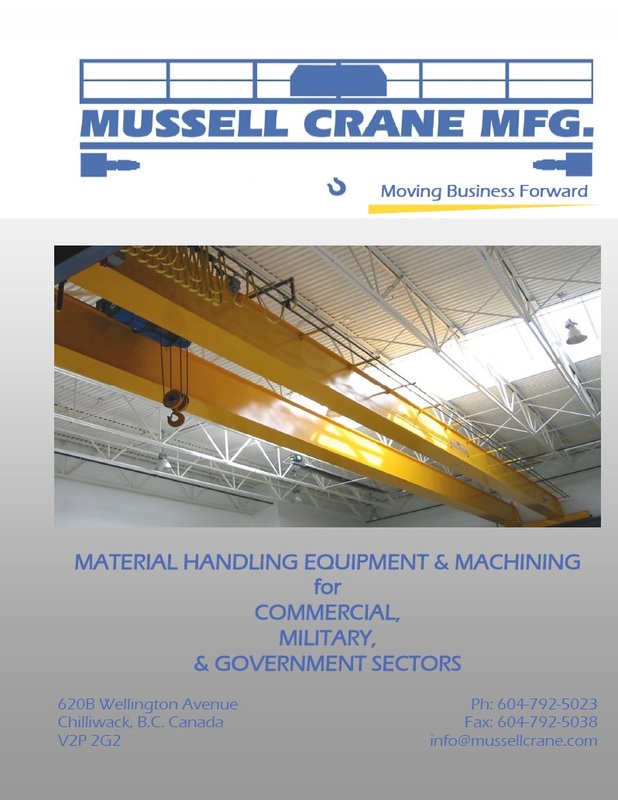 Mussell Crane Mfg’s team of professionals are well educated, energetic, resourceful, and dedicated to meeting all of your material handling needs. Our objective & commitment is to pursue never ending improvement in quality and design, ensuring that our clients receive the very best possible product. With over 27 years of experience in the industry and a team of dedicated professionals, Mussell Crane guarantees to help you through your project from beginning to end and well beyond. The on-site and in-house training and certification department is always adding new and exciting developments to Mussell Crane. Not only do they offer specialized training for overhead crane operation but also training for many other applications such as forklift, scissor lift, and fall protection to name a few. After completing a course students are awarded a certificate that is recognized by WorkSafeBC and meets provincial rules and regulations.